[Ambassadors] Fedora Says Thank You! Next message: [Ambassadors] Fedora Says Thank You! And of course, thank you for being Fedora Ambassadors! since July 2010. I am just happy to help it finally hatch! Q: What is a Self-Addressed Stamped Envelope? this is also known as a "Stamped Addressed Envelope (SAE)". Q: Where do I send my SASE? Q: How long is this offer good? A: We will return any SASEs that I receive on or before May 31, 2011.
address from the US). This is your SASE. stickers and case badges, seal it up and drop it back in the mail to you. Q: Is there a limit on how many SASEs I can send you? Q: Is this offer open to contributors outside the US? more than welcome to include an International Reply Coupon instead. this option, please do not forget to include the self-addressed envelope! Q: Can I decorate my SASE? A: Sure. Just remember that it will be coming right back to you. Q: Do I need to prove that I am a Fedora User or Contributor? Q: Can I tweet/dent/facebook/IRC/email/tell my friends about this offer? Q: Will Fedora or Red Hat keep a record of my mailing address? seal it up, and drop it back in the mail. Q: How many stickers and case badges do I get? 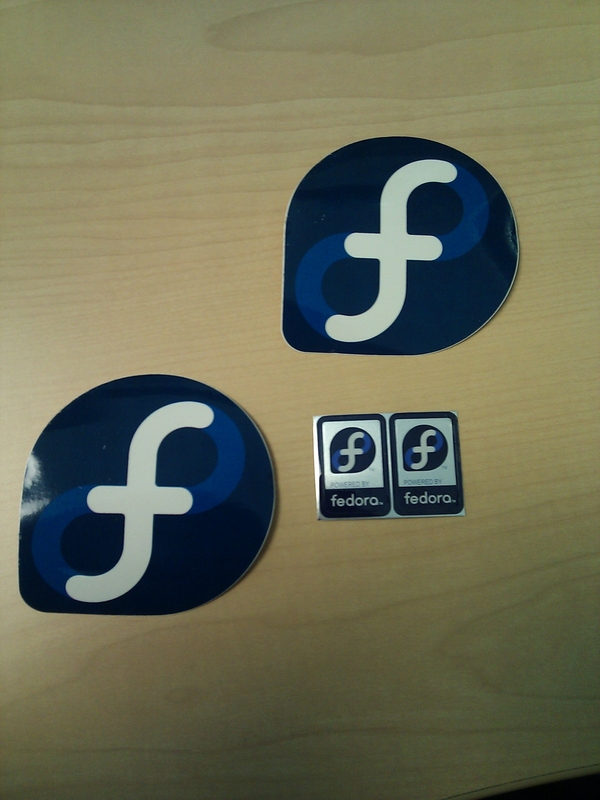 "Powered by Fedora" case badges. Q: What do the stickers look like? Q: I have a question that isn't answered here, where can I ask it? A: Email spot at fedoraproject.org.